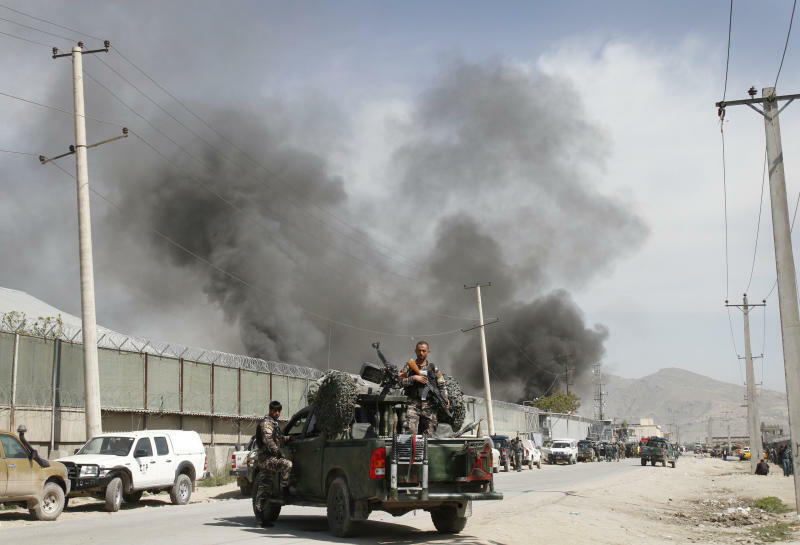 KABUL, Afghanistan (AP) — Afghanistan's president has branded his U.S. allies as corrupt, wasteful and contemptuous of Afghan lives. Once he even threatened to join the Taliban. Nonetheless, Hamid Karzai signed a deal that could keep thousands of U.S. troops in his country for years. Despite his rhetoric, Karzai needs international support if Afghanistan is to survive economically and avoid descending into civil war like it did when the Soviets left two decades ago. The signing of the long-term strategic partnership, which will govern the relationship between the two countries from the end of 2014 until 2024, was welcomed on Wednesday by leading Afghans as a positive message that the West will not turn its back on their country. It also gives Afghanistan much-needed military support to deal with an insurgency that shows no signs of abating. 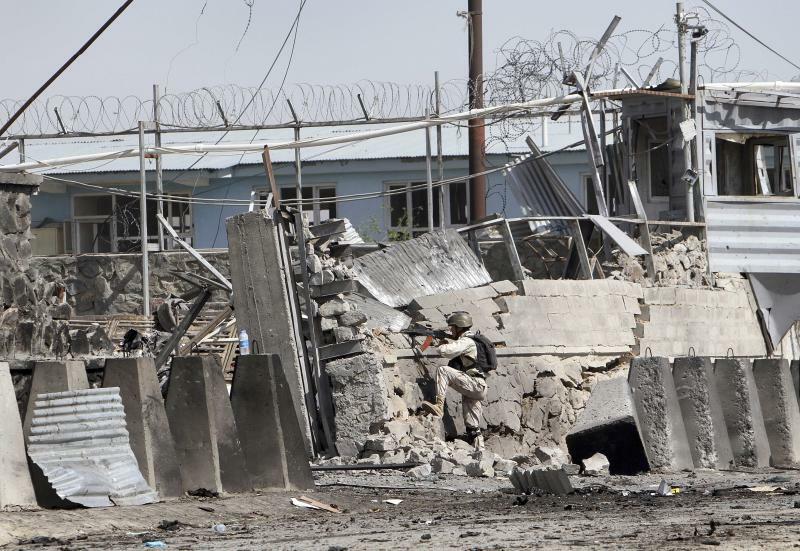 Less than two hours after President Barack Obama left Afghanistan early Wednesday, the Taliban carried out a brazen suicide attack in the capital against a heavily fortified compound housing hundreds of foreigners, killing at least seven Afghan civilians. "Karzai was thinking that maybe it is good for the national interest of Afghanistan, its stability, peace and security. Without the Americans, peace and stability is difficult," said Wahid Muzhda, a leading political analyst and ethnic Pashtun — the community from which the Taliban draws most of their members. 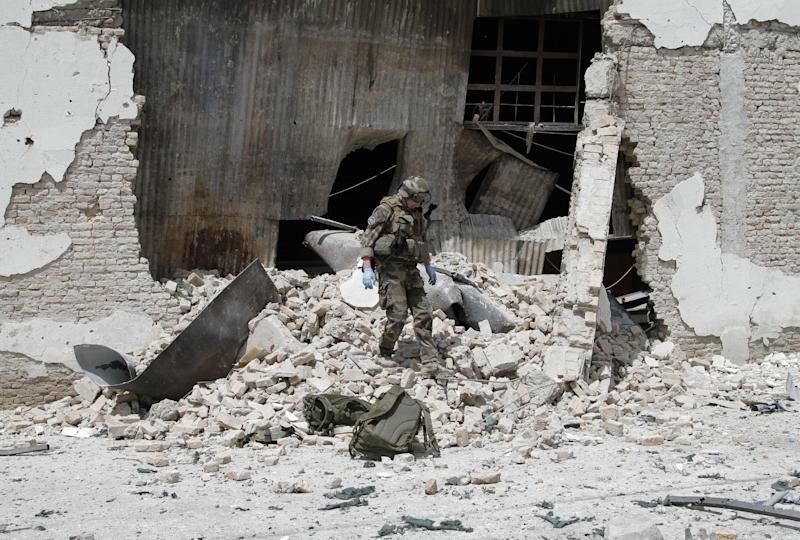 Even neighboring Pakistan, which has been accused by the United States of not doing enough to dismantle insurgent safe havens on its territory, would benefit from a continued American presence in Afghanistan, some analysts say. Riffat Hussain, a professor of Defense Studies at Quaid-e-Azam University in Islamabad, acknowledged that some Pakistani officials, especially in the military, are worried that the U.S.-supported Afghan government is too cozy with Pakistan's archenemy, India. But he said that many officials are even more concerned about what will happen in Afghanistan if international forces leave. "Many in Pakistan think continued American military and NATO presence is not necessarily a bad thing because in the absence of their presence, Afghanistan is more likely to descend into chaos," Hussain said. The agreement is widely expected to be approved by the 249-member Afghan parliament, possibly as early as next week. "As long as it is good for the country and good for the Afghan people, we would like to vote in favor of it. We would like to accept that partnership with a very clear stand, a stand which will assure Afghans that Afghanistan will be a prosperous country," said parliament member Shukria Barekzai, a Pashtun. The partnership accord has been described as the capstone in a series of agreements that Afghanistan is signing with U.S. allies. A failure to make a deal with the United States would have endangered pacts it has already signed with America's NATO allies, including Britain. "The signing of strategic partnerships with European countries and especially the United States is to the benefit of Afghanistan," said Nazir Ahmad Hanafi, a member of Afghanistan's parliament and supreme religious council who hails from the western city of Herat. The deal signed overnight by Obama and Karzai does not commit the United States to any specific troop presence or spending. But it does give the U.S. the option of keeping forces in Afghanistan after combat troops withdraw by 2014 for two specific purposes: training of Afghan forces and operations against al-Qaida. The terror group is present in Pakistan but has only a nominal presence inside Afghanistan. Officials have previously said as many as 20,000 U.S. special operations forces and other troops may remain after the combat mission ends, but that still must still be negotiated. Those troops would be on the ground for at least another decade. Andrew Exum, a senior fellow at the Center for a New American Security, a think tank in Washington, said Obama "delivered a strong and necessary message to the Afghans that the United States will remain committed to their security." But he criticized Obama for implying that the war was winding down. "I do not think this is the beginning of the end of the war," Exum said. "I think it is misleading to say we are winding down the war. The war does not stop and start according to our desires, and it will not stop for the Afghans. It will also not stop for the many U.S. special operations forces that will continue to fight by, with, and through the Afghans," Exum said. Afghanistan also desperately needs support for its future development and to keep its economy afloat. The World Bank has said the country will require billions of dollars in aid for a decade or more, especially if it hopes to fund services such as security. Last year, Afghanistan received $15.7 billion in aid, representing more than 90 percent of its public spending, according to the World Bank. The U.S. has spent more than $20 billion in the last two years to build up the Afghan army and police — a key part of its exit strategy in 2014. It hopes to have a 352,000-strong force ready by the end of the year, so it can hand over the lead for security around the country to the Afghans by mid-2013. The U.S. and other allied countries will then move into a support role. Without the strategic agreement there would have been no legal framework for continued U.S. assistance to Afghanistan. To keep the army and police operating past 2014 will require at least $4.1 billion a year — money that could have vanished if a deal was not signed. "The commitment from the United States that it will support Afghanistan politically, economically and militarily" is "good for the Afghan people," said Fazal Sangcharaki, a spokesman for opposition politician Abdullah Abdullah, who lost to Karzai in the 2009 presidential elections. But despite their welcome, Afghan politicians were critical of the Karzai government for not making the text public before it was signed. They also said that most ordinary Afghans had no clue that Obama and Karzai had signed it, as most were asleep and would have found out only after the U.S. president left following a secretive trip in which he spent less than seven hours on the ground in Afghanistan. "When he came at midnight, the people of Afghanistan were asleep," said Nasrullah Sadeqizada, an ethnic Hazara parliamentarian from central Daykundi province. "The U.S. president should come during the day and hold a public celebration. But unfortunately he came at midnight when the people of Afghanistan were asleep and left before they woke up." The Taliban interpreted his overnight trip as a sign they are winning. "He can't even come here without telling anyone. To me that shows that Barack Obama is afraid of the Taliban movement," Taliban spokesman Qari Youssef said. "Coming to Afghanistan without telling anyone clearly shows how much they have achieved in the past 10 years." Associated Press writers Amir Shah, Rahim Faiez in Kabul and Mirwais Khan in Kandahar contributed to this report.